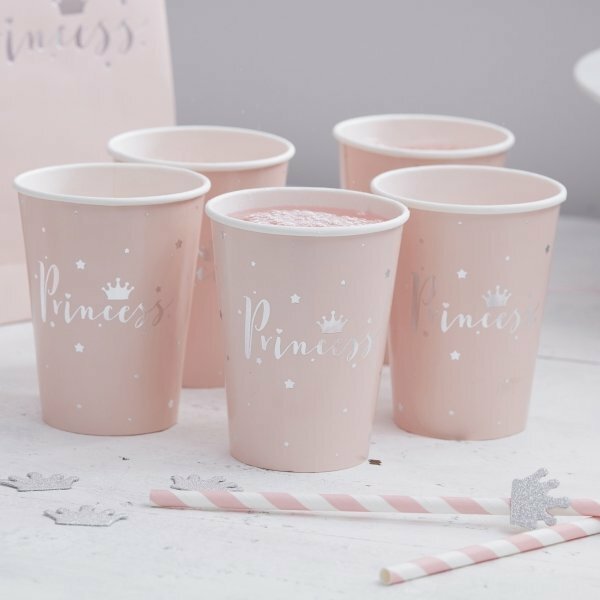 Gorgeous pale pink and silver foiled 'Princess' paper party cups, the perfect tableware to create an adorable Princess party for your little girl. Serve tasty drinks to your friends and family in these super cute cups. The stunning silver foil is sure to be loved by all princesses at the party! 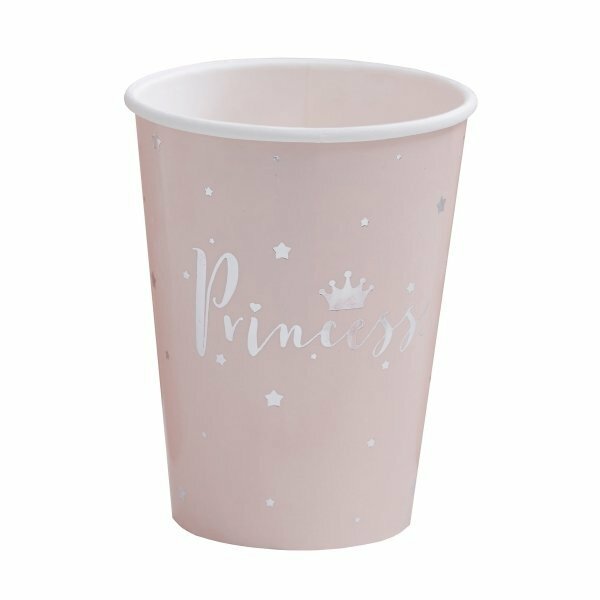 Matching pink & silver Princess party wate also available.